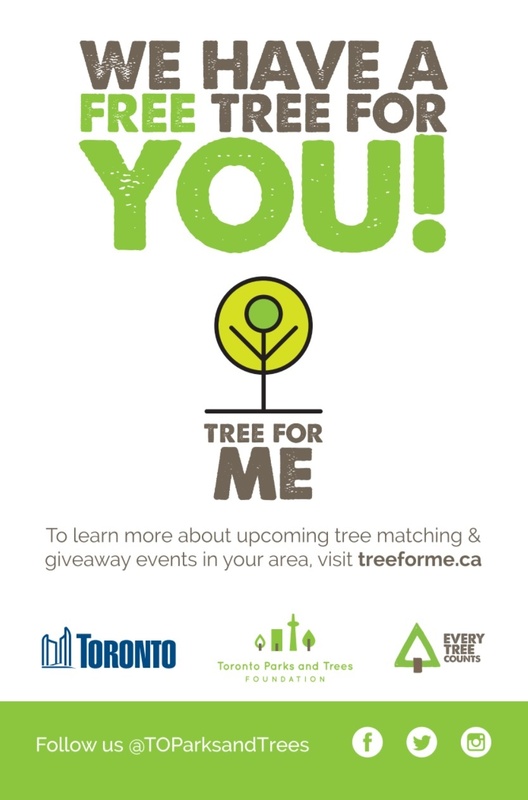 As part of the Clean Toronto Together initiative, a residents-led cleanup is happening on Saturday, April 27. Meet up is at 12 noon at The Hill – St. Mark’s Rd. A report on residential on-street permit parking will be coming to Toronto East York Community Council (TEYCC) on April 24, 2019. This report provides the results of community consultation and a potential implantation plan for the expansion of residential on-street permit parking. Please note that the results in the staff report were completed prior to the change in ward boundaries. At the April 24th TEYCC meeting, Councillor Perks will be requesting that all streets within the boundary of the new Ward 4 be included in ongoing work to implement on-street permit parking on streets that currently do not have permit parking. Our office will continue to update you on this issue. Please do not hesitate to contact us if you have any questions. There will be a Public Consultation Meeting on Scarlett Road Bridge Update & Proposed Bike Lanes on Scarlett Road. This will be an opportunity to view information materials, see a presentation, and speak with the project teams about these related projects. Councillor Perks will be in attendance. 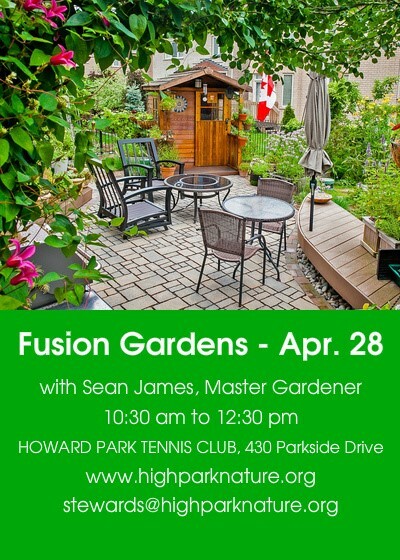 Time: Drop in 6:30 p.m. to 9 p.m.
Join us for a presentation about fusion gardens, for multi-season sustainability and beauty, by renowned landscape designer, environmentalist and consultant Sean James. Named by Garden Making magazine as one of “20 Making a Difference,” gardening has been Sean James’ hobby and profession for over 35 years. He’s a graduate of Niagara Parks School of Horticulture, a Master Gardener, writer, and international speaker. Sean is a global leader in eco-friendly landscaping, with his work appearing in numerous books and manuals. Just a friendly reminder that Runnymede Healthcare Centre is having a Community Meeting to discuss a proposal to build a 200-bed long-term care home adjacent to their existing facility. Come out, see what they are proposing, and take part in the discussion. A preliminary report has been released for the planning application at 150 Dunn Ave (the UHN facility). Please see the attached file for the report and more details. Further, the City will be holding a Community Consultation meeting where you can learn more about this application, ask questions, and share your comments.